In an effort to keep things personal, Jollibee has decided to stamp on personalized messages to everyone who will order food via drive thru. 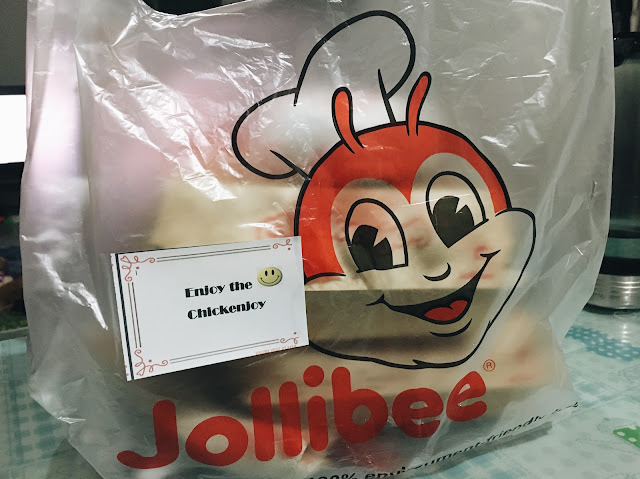 Messages like "Enjoy the chickenjoy," "Bee happy," "Drive safely" and more. Some are handwritten notes and some are just pre-made printed cards like that. Simple gestures like this make me enjoy the whole buying experience.